Nathan & Jess Hogg have attended every Scottish Ranking Event so far this season and had success at several competitions. Jess who attends Largs Academy has won U13 girls at Perth Grand Prix and at the U13’s Edinburgh Assessment where she remained undefeated throughout the day winning 8 matches out of 8. Nathan Hogg who is currently ranked 9th in the u13 Boys TTS Scottish Rankings and a pupil of West Kilbride Primary School, picked up the title of u13 boys champion at the Glasgow Open, reached the QF of the Scottish Primary Schools and finished an impressive 5th in the u13Boys Edinburgh Assessment out of 30+ boys. 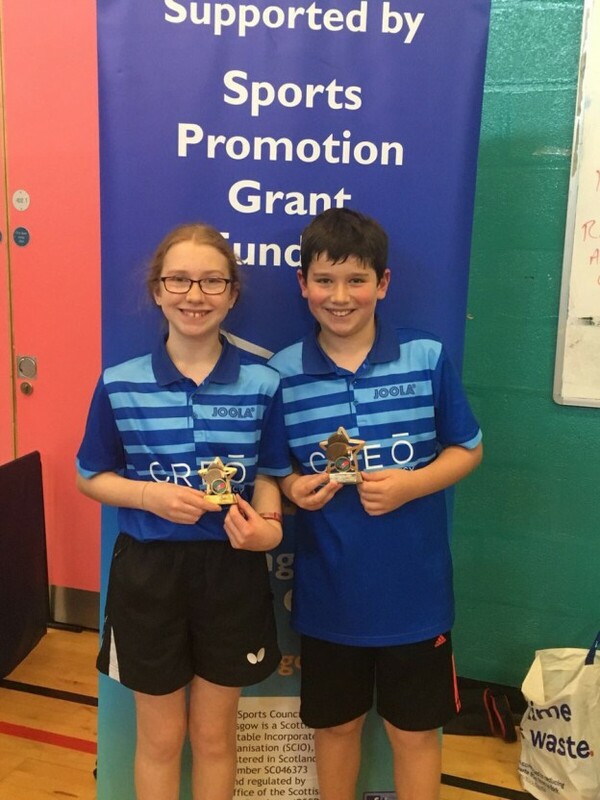 Both started at our Monday Night KA Leisure Summer Sessions during the 2017 school summer holidays and have both worked extremely hard at our various club sessions, at St Matthews and West Kilbride Community Centre. This entry was posted in Latest News on 1st January 2018 by Chris Main.